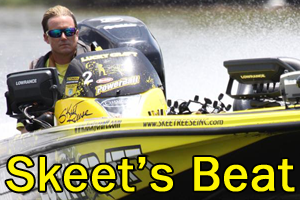 This is the time of the year that anglers start thinking about the spawn. In fact, some areas of the country, the spawn is in full swing and anglers are choosing between prespawn, spawn and postspawn fish. 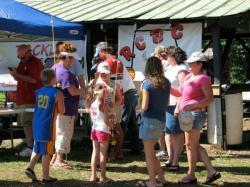 This time of the year could be the most exciting of the year to fish. It can also be one of the most dynamic times of the year because of the weather. 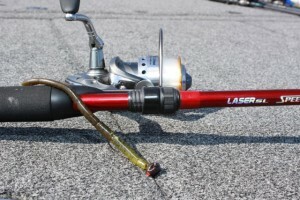 Incoming cold fronts can often be the bane of the spring angler’s existence. When bass are in the shallows looking for spawning areas, they can be easily put into a foul mood by a drop in barometric pressure, falling temperatures and / or precipitation. When those conditions arrive, bass begin to pout. The sudden loss of a steady reaction bite can make anglers do the same thing. 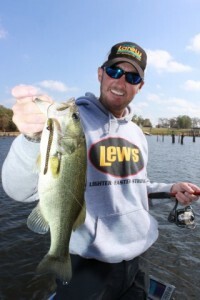 When they were catching solid fish on crankbaits, jerkbaits and spinnerbaits only hours earlier, the lack of a bite in inclement weather can cause a grown angler to cry. Bobby Myers, Bassmaster Opens pro said he turns to a shaking style head with a five-inch Gene Larew Salt Head Shaky Worm. “It’s a great way to make uncooperative bass bite,” he said. “When they won’t respond to a power technique, a worm on a shaky head will do wonders. His first point of contact is to look around brushpiles in the center of the channel of spawning areas. “Bass seem to suspend a lot on the winter,” he said. “When they first start to move, they head to the bottom and follow it in. When they come into contact with a brushpile, they stay in there until they are ready to spawn.” He believes they return to those brushpiles in bad weather. The other place he looks is on the inside of the creek arm points, or on the secondary points leading into the coves. 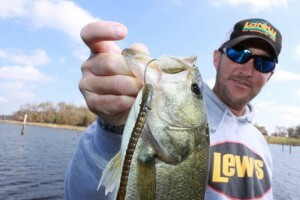 He even said that 70-percent of the time he finds them there, and they are usually a mixture of pre and postspawn bass. He loves rigging a watermelon pepper or green pumpkin Salt Head Shaker on a Jewel Squirrel Head designed by Elite Series pro, and fellow Oklahoman Jeff Kriet. 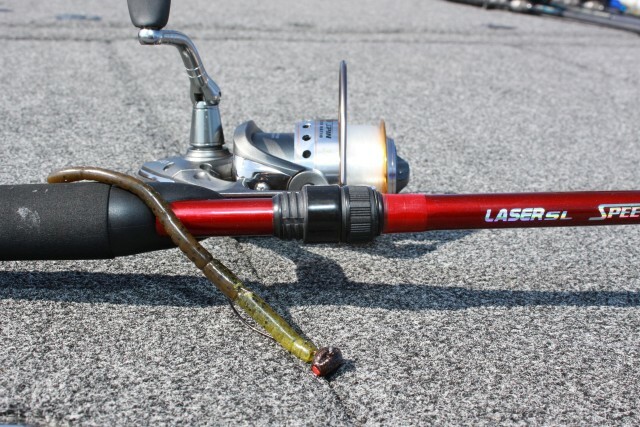 He pairs that with a Lew’s Speed Spin spinning reel and Lew’s Laser SL spinning rod; he spools his reel with 8-pound-test Gamma Edge Fluorocarbon line. He chooses the Salt Head Shaker because it has the salt impregnated head to help fish hold on when they strike, but the worm still floats tail up. The worm is actually poured in two pieces so that Gene Larew can create a worm that has the best of both worlds. 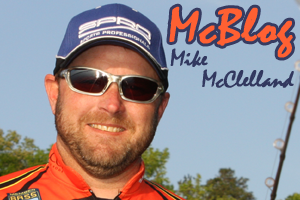 Myers said that he uses what he calls his “three punch combo” for fishing a Shaky Head. The first is a slow steady drag across the bottom on mud or gravel banks. “You have to keep it moving, but keep it in contact with the bottom,” he said. Myers admitted that he is not a huge fan of having to scale down, but also admits that surviving a tough day is sometimes key. 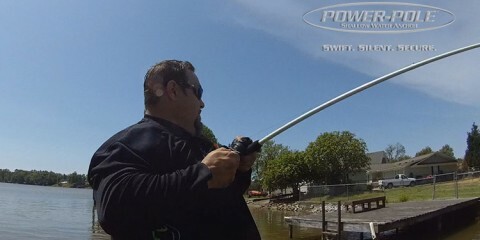 “I don’t really like to do this; I’d much rather power fish,” he said. “But, there are times when you just have to get through a day, and this is one of the best ways I know how.